Coming out of the months of October and November, our homes oftentimes require little to no cooling or heating. Then, once we hit the winter months of December through February, our heating systems are suddenly put to use. 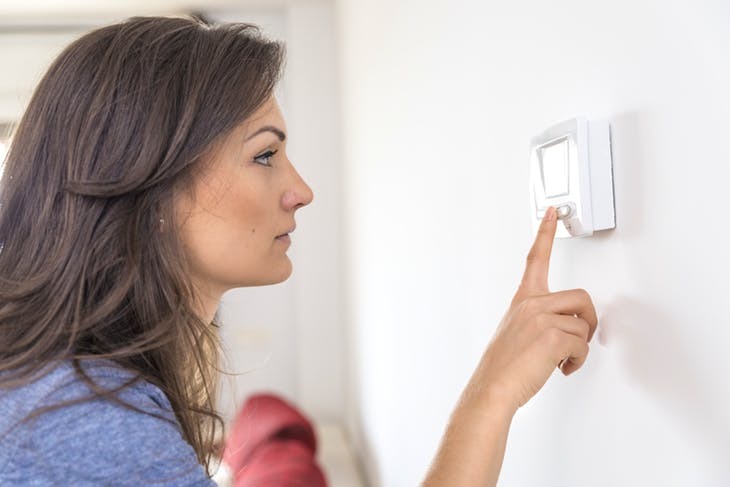 Whether you are using natural gas, propane or electricity to heat your home, you will notice an increase in your home energy use, and therefore, your home energy costs. Remember: the greater the difference between outside and the inside temperatures, the greater the cost to make your home comfortable. If you heat your pool for extended use in the colder months—especially with a natural gas or propane pool heater—expect a slight increase in your home energy costs. Why? As the average temperature of the pool water drops, it takes more energy to raise the temperature to your desired level. Furthermore, pools have a large surface area when uncovered, allowing much of the heat to be lost. To save on pool heating costs, simply cover your pool overnight to retain as much as 50% of the heat. Also, while many Floridians heat their pools to 86°, you may consider adjusting to a slightly cooler water temperature of 82-84° for additional energy-savings. Like pool water, the temperature of groundwater also drops in the winter months. This requires you to use more energy to heat water to the same temperature as you do in the summer months, forcing the water heater to work harder to heat the same amount of water. Therefore, another factor that may cause your utility bills to be slightly higher in the winter months is the increased load on your water heater. A water leak probably isn’t likely, but they do happen. Often a water leak may cause your gas bill to rise because you may be wasting hot water. To check your water for a leak, make sure no water is in use in your home, and then take a look at your water meter. If the dials are moving, you may need to contact your water company. If you smell gas inside your home, you should immediately go outside. Do not turn off any lights, use a cell phone, or open the garage door with an automatic opener. Once safely outside, call 800.427.7712 if you are a Florida Public Utility customer. (If you have another gas company, you should have the emergency contact number posted.) If you believe it is a serious situation, please call 911. Florida Public Utilities will send an energy expert to your home to perform a Free Energy Check-Up to help you learn everything you can do to keep your energy costs down. This is a free service for all our electric and natural gas customers. Sign up for a Free Energy Check-Up today! Sometimes appliances that are too old or inefficient can also cause energy bills to escalate. What’s the good news? If you are ready to replace appliances, FPU offers energy conservation rebates on a variety of home upgrades. Be sure to see if you qualify for rebates! Incentives are currently available when you include a new natural gas furnace, a new water heater, and a new high-efficiency heat pump. For questions about energy-efficiency upgrades and other related energy topics, contact the energy experts at Florida Public Utilities.